You can view the code at GitHub. 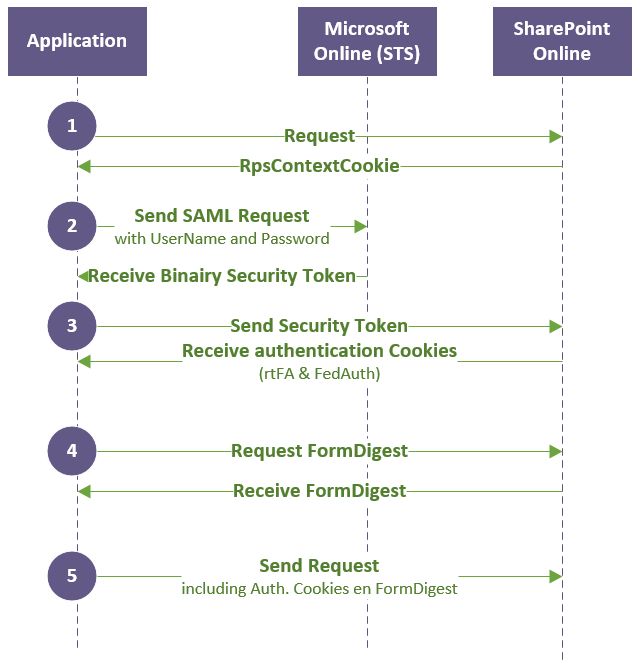 Step 2 – Send SAML request and receive Binairy Security Token. Step 5 – Action : Create a Site! I’m struggling with getting this working with ADFS as the IP-STS, as we use federated identities. Whenever I send a SAML request token I just get a response containing an X509 certificate and not a binary security token. Also, this is the first time that I’ve seen the RpsContextCookie being required for login – is this a new requirement? 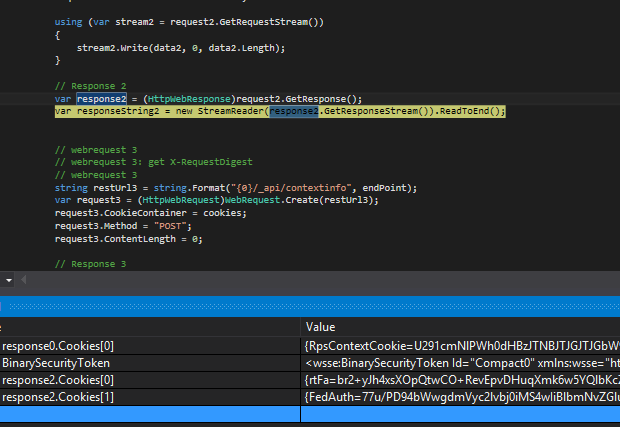 Hi Duncan, don’t know if the RpsContextCookie is a new requirement, but it works for me. If I didn’t get that cookie the authentication fails. Do you write the same headers? That was also a challenge that I had. Please e-mail me if you do not succeed. 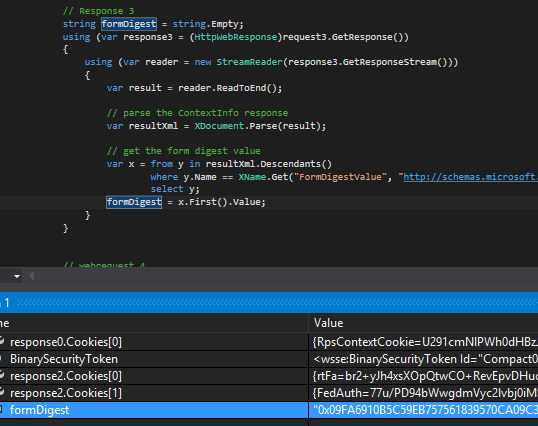 I’m using this approach to authenticate against SharePoint Online OData, as I’m having trouble with it when the authentication is a hybrid setup. How do you define “extStsTemplate.xml”? Got this file by analyzing the default process of authentication. Good luck! Thank you so much for the speedy reply. I ended up getting the same file via fiddler too 🙂 But it’s nice to get a confirmation. 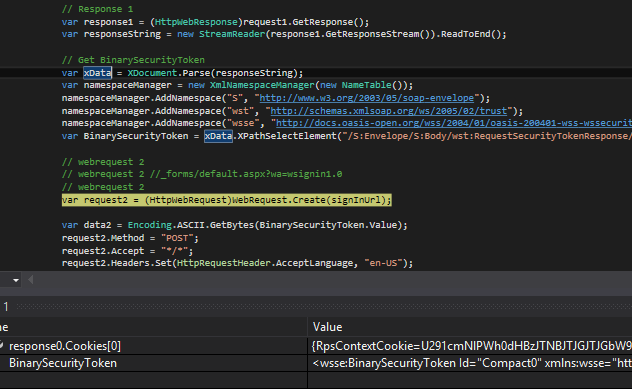 Can you give me examples of all your parameters (ie endPoint, requestUrl, stsEndpoint, signInUrl and browserHost). Thanks for this, nice code. It works fine for me without the RpsContextCookie though, I can remove lines 40-52 quite happily.